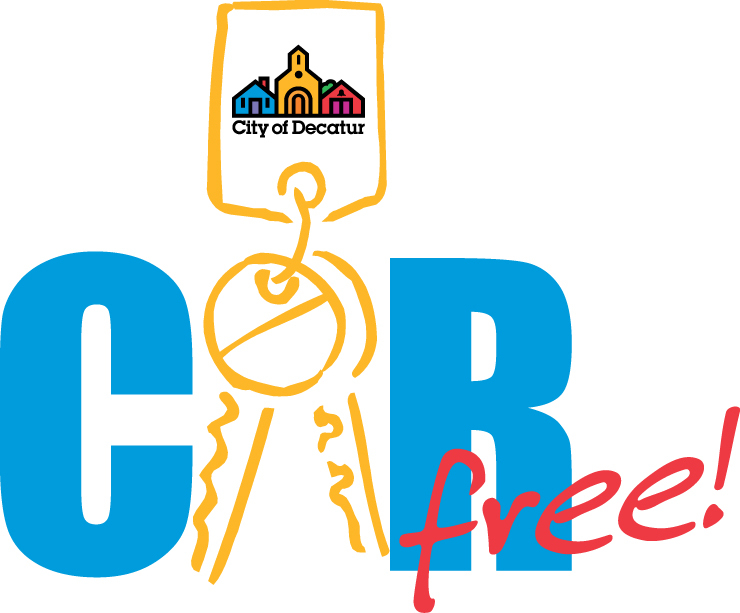 Join Decatur Active Living and the City of Decatur as we celebrate Car Free Day on Wednesday, September 24 at the Blue Sky Concert on the Square. The City of Decatur celebrates on Wednesday to be part of the Blue Sky Concert. Walk, bike or ride transit to the concert and receive a special Car Free Day sticker and/or tattoo! Car Free Days aim to be fun, free events encouraging people to get out of their cars and run, walk, cycle or take public transit. The central vision of Car Free Day is urban mobility that is not dependent on the private automobile. International Car Free Day is celebrated every September 22 (Decatur celebrates on Wednesday) first started in Europe in the 1990s and is a growing global movement celebrated in over two thousand towns and cities in over thirty countries. CFD is not anti-car, but promotes awareness of alternative forms of transportation and the public health benefits of more active lifestyles within reach to us all. For more information contact cheryl.burnette@decaturga.com.